Conveniently located just 20 minutes from Chester City Centre, Carden Park offers the luxury of the city with a countryside backdrop. We have many options to choose from and provide consultations as needed! Go over to our “Menu” page or give us a call to inquire and book in. 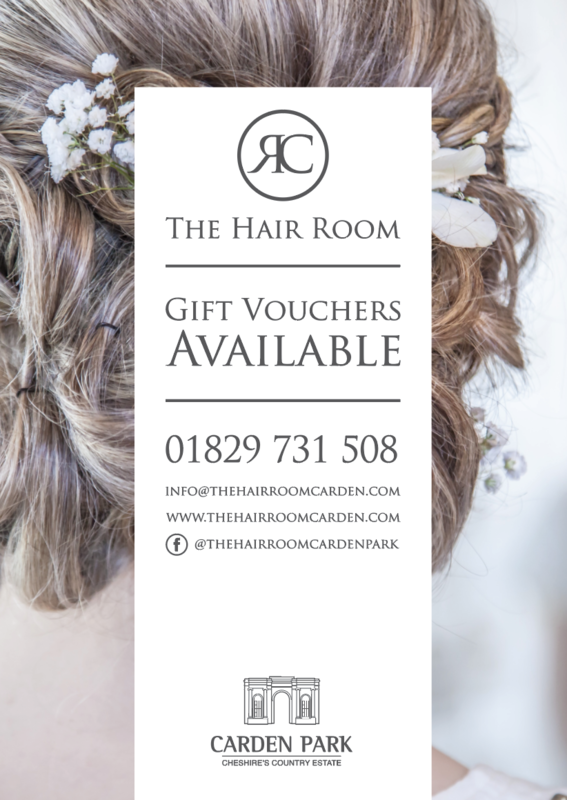 On the 30th October, The Hair Room, a beautiful salon ran by owner Rebecca Croft opened its doors to the general public at Carden Park. Offering a bespoke, personal and modern service to clients as well as ensuring a great new look and feel you desire, it is certainly a welcome addition to the hotel family! Rebecca is extremely excited about the opportunity of working inside Cheshire’s Country Estate and can’t wait to get started with her new venture. Hairdressing has always been at the forefront of Rebecca’s mind, ever since she was young and she has followed all her childhood aspirations of being a world class hairdresser. As well as providing efficiency in styling, from men’s cutting and bouncy blow-drys to making a bride looking the best she can for her big day, Rebecca has had many memorable moments in her hairdressing career so far. Rebecca would love to replicate these memories at Carden Park, a hotel that has already got a place in her heart. And what does the future hold for The Hair Room? Error: Error validating access token: Session has expired on Tuesday, 14-Aug-18 02:34:10 PDT. The current time is Sunday, 21-Apr-19 15:59:34 PDT. 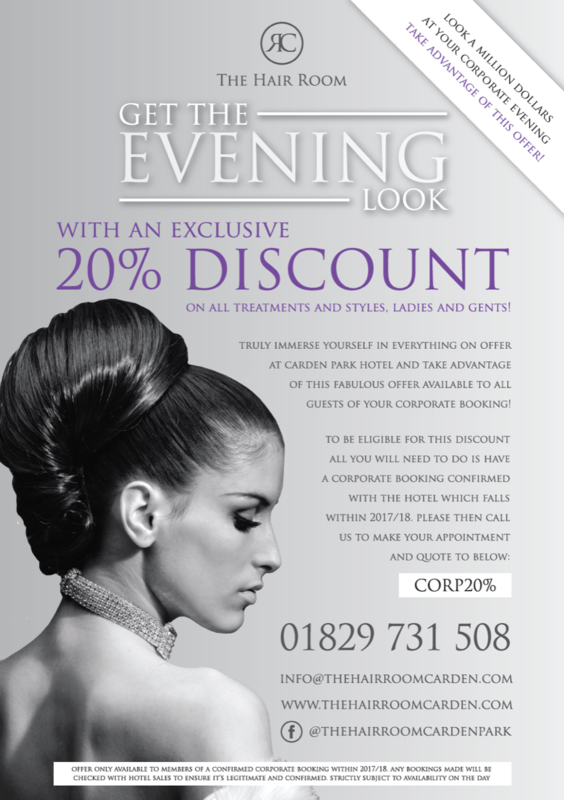 10% discount for all Carden Park Membership holders!